Iberia Plus and Groupon Are Back At It Again! As always, you’re going to need some Spanish language skills though – or a web browser that can translate for you. The offer comes from the Spanish version of Groupon and the Avios are sent to an Iberia Plus account. It is easy enough to sign up for a Spanish Groupon account – if not resident in Spain just choose your favourite hotel and use their address. 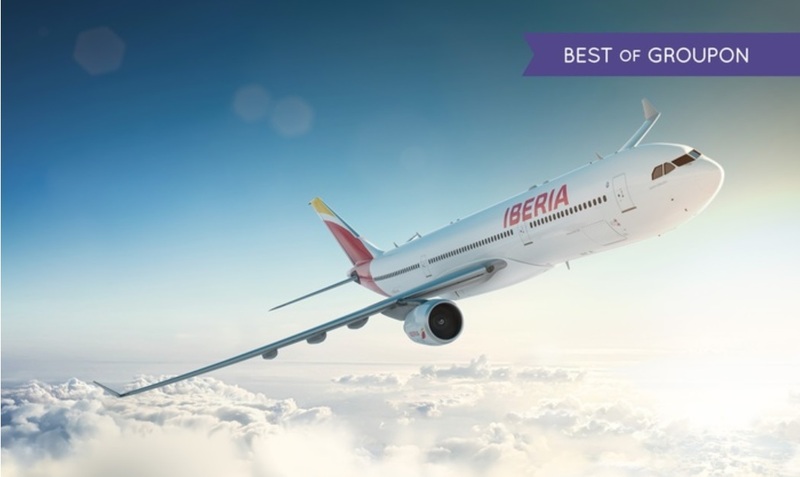 So… if you buy a 2,000 Avios pack (without discount), you will also earn 209 Avios extra via the IberiaPluStore. 2,209 Avios for 19 euros (£16.50) works out to 0.75p per Avios. I wonder if you can quadruple dip on your earnings with this ? 3rd dip : Norwegian Cashpoints from linking your Groupon Spain and Norwegian accounts together and using the promo code NORWEGIAN at check out ? I’m not sure which Groupon country Norwegian is associated with, but it’s worth a shot. But otherwise you do indeed earn miles from 1, 2 and 4. Don’t wait too long though because the 2,000 Avios package can easily sell out in a matter of hours. Found that if you go to the Spanish Norwegian Reward site it’ll link itself to the Spanish Groupon even if you’re already linked to the UK version. Yep just purchased and no apparent errors in that the NORWEGIAN promo code was accepted. If you’re spending EUR on a GBP card, the points earned by your Amex are outweighed by the FX fee. True, but if you don’t have a no-FX-fee credit card, you might as well earn the extra miles/points. I suppose some people might also be working towards sign-up bonuses. Are you sure that the voucher isn’t an old one from prior versions? Did you use the link in my article, rather than the one Groupon gave you? When I do this I have to type the codes in myself, not cut & paste. Sometimes it is tricky to precisely copy the codes so you might have to do it manually. The 25% coupon worked well too (my wife had not previously bought any – so I bought her an 8000 pack which was pretty good value after the discount). The incorrect link aside – groupon are getting a bit better. I got an email today touting the offer (albeit after I had already bought) – presumably on the back of my past interest. After redeeming the coupons I got emails telling me the coupons had been successfully redeemed. Here’s hoping it comes back in another 6 to 8 weeks. So which pack is the best value then? I only have the BA Avios account is it hard to convert? Thanks! 2,000 is the cheapest per Avios. However if you are opening a new Groupon account you can use the discount code for the 8,000 Avios pack for great value. Thank you! Another question, apparently when I log on to my BA Avios account, my account said it’s due to expire in June 18, even though I just transferred like 30k Avios points into the account back in jan and is due to fly with BA this month to hk. Does it seriously expire? My virgin / Air France (blue) seems to have no such problem as long as I fly with them / buy or spend points within 3 years. Thanks in advance! Transfer points from where? Some movements don’t seem to reset the activity clock (you must earn or spend Avios within a 3-year period). Combine Your Avios definitely doesn’t count, but if you have an upcoming paid flight on BA then you should be fine. Oh I see. I exchanged 30,000 reward points from my amex reward points to my BA Avios this jan – Feb. However when i try the link on the voucher (or the link you give above) to convert the voucher into points. ‘Due to maintenance work, the exchange platform for coupons is not available. If you have not yet redeemed your coupon, so that it is easier for you and you do not have to take any additional steps, we have sent you your ticket by email to the same email address with which you made the purchase, please search in your inbox the email received from the address noreply@r.grouponmail.es. In the email – The ‘ticket’ they refer to is the voucher and still needs to be redeemed – but I cannot find a way of redeeming it. Is this a common issue? Is there anything else i should/can do? I have until 10 July to redeem. Hey Kevin, I’m coming across the same issue with the latest sale. Were you able to get around this?